* Virgin Pinnacle Climb : 4th Virgin Summit of Bhramanti on the eve of New Year 2011. 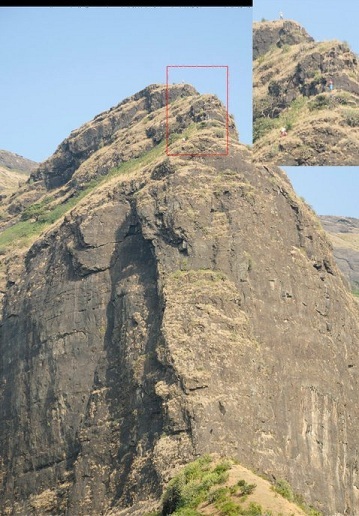 This pinnacle is near Anjaneri Fort. The total height of the summit was 650 feet. The entire team had to fight off the extreme biting cold coupled by the winds. Its definitely a historic start this year & provided us that adrenaline rush to take up such more challenges in future. Kishor, Kaivalya, Suhas Shirke and Arun sawant. "It took us 3 days to reach the SUMMIT and had to fix more than 800ft of rope. The moves were very difficult. Last day it was a long climb and Kishor and myself push very hard to reach the summit after 3 loooooooong days of climb"........by Kaivalya. 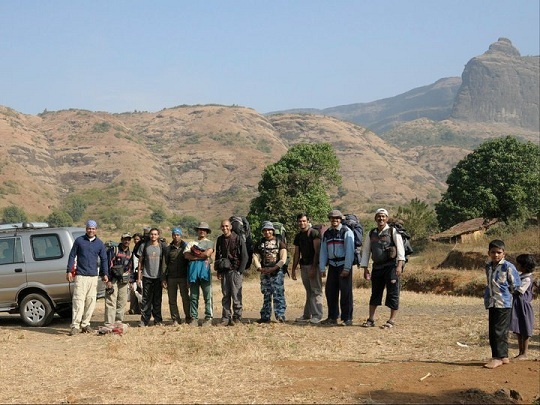 Kishore Chavan, Kaivalya Varma, Tapan Vaidya, Arun Sawant, Prashant Sawant, Nitin Devedra, Dr. Narendra Patil, Ravi Bangera and Sushas Shirke, Ritzz, Jay Seth, Minaj Lala, Anusha and Sneha Sathe.